The Rambling Rose Is Distinctively Different From The Climbing Rose. The Rambling Rose and the Climbing Rose. What's the Difference? A Beautiful Display Of Rambling Roses. The Rambling Rose has several unique qualities which sets it apart from the Climbing Rose. Ramblers are distinctly different from the Climbing Roses in that they have blooms in clusters of seven (the climbers have clusters of five) and their leaves are in groups of seven (the climbers have groups of five). The Leaf Of A Rambler. The other difference is that the Ramblers will only flower once eg. the Banksia Rose, whereas the Climbers will flower repeatedly eg. Madame Alfred Carriere. However, two ramblers do flower repeatedly - 'Malvern Hills' and 'Snow Goose'. Ramblers also have very few thorns compared to the Climbers. 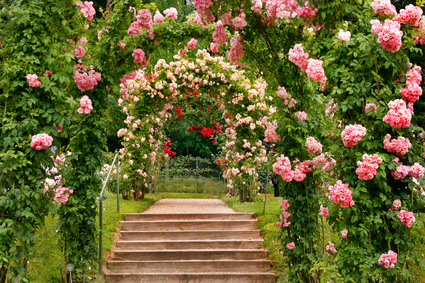 Rambling roses have stems (canes) which are more flexible than the Climbers, so they are much easier to train on a trellis, over an archway, or even across the ground as a beautiful ground cover. They are also generally more vigorous than climbing roses; they would do better climbing up a tree than over a fence or pergola. Always check the height if you are considering a new rambler for your garden! (Some will grow to 40 feet or more). There are three different types of Ramblers: the Sempervirens, the Multiforas and the Wichurana Ramblers. Rosa 'Adelaide d' Orleans'. Bred by Antoine Jacques in France 1826. Jacques was the head gardener to the Duc d'Orleans from 1842 to 1834, hence its name. This gorgeous Sempervirens rambling rose will grow from 14 - 15 feet. It is very fragrant and blooms in Spring. It is a wonderful cover for pergolas, arches and of course, for privacy. It has small, double pale pink blooms which are cup-shaped. Very pretty. Another Sempervirens rambling rose, 'Felicite et Perpetue'. Also bred by Jacques in 1828. This rambler is extremely tough and disease resistant and its perfume is said to be like the Primrose. Apparently Felicite and Perpetue were twin sisters. The only rose named after two people. I have read that the two roses above are the only Sempervirens available today. The Wichuranas are named after the German botanist Max Ernst Wichura (1817–1866). While the Wichuranas are beautiful and popular in themselves, they are also known to be the parents of 'Dorothy Perkins', the stunning 'Alberic Barbier' 'New Dawn' and 'Albertine'. 'Albertine' is a rose you will fall in love with at first sight. Wichuranas are so determined to grow, that they will often take over everything in their path. Life with a Wichurana is not easy, unless you love regular pruning to save your pergola or even your house. Be careful where you put them. My Banksia, however, was well-behaved and only reached the top of the plum tree in fifteen years. The other one I had was trained around a huge water tank. It looked so beautiful because it flowered at the same time as the Lily of the Valley below it. But I was very disappointed with the short bloom time. On the other hand, my Mum's Banksia Rose was so vigorous, she had to have it taken out. The tough award winning Wichurana Rambler 'New Dawn'. AARS Winner. 2000. Not only is it easy to keep, it is very fragrant. It was developed in 1930 and is repeat flowering with 3" blooms and looks divine over an archway or a trellis against a wall. Modern climbers were based upon this very special rose which is a real winner among the disease resistant roses. This rose will grow to 18 feet. New Dawn was inducted into the Rose Hall of Fame in 1997. 'Dorothy Perkins'. 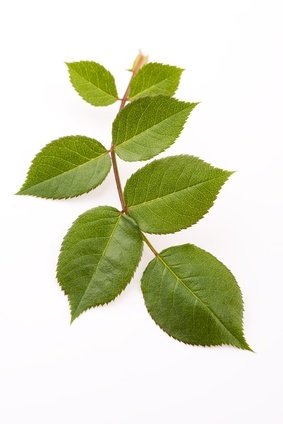 The first rose ever to have been named after a person. Introduced in 1906 by Miller, who worked for Jackson and Perkins in the USA. Red Dorthy Perkins (Rosa 'Excelsa'). There's even a 'White Dorothy Perkins'. The beautiful Hybrid Wichurana Rose 'Alberic Barbier'. The beautiful Wichurana Rose 'Awakening'. Awakening is a sport of the sensational New Dawn. Another Wichurana beauty: Francois Juranville. Rambling Wichurana Banksia Rose. Named after Sir Joseph Banks' wife. This rambling Wichurana will grow to 20 feet in Spring. I have grown this but was disappointed by the short flowering period. However, if I had known more, I would have planted roses that flower at different times in succession such as planting ramblers with climbing roses timed to take over when one left off. Just as we plant annuals and perennials which flower at different times, we can also do the same with roses. It does take a lot of thinking and planning but the long term result will be amazing. Such a beautiful sight. The Multiflora rambling rose 'Goldfinch'. This one will only grow to 12 feet. It is fragrant, and spectacular even though it only has a short bloom period. The Multiflora rambler 'Ghislaine de Feligonde' from France in 1916. This rose is often classed as a climber and it has confused me quite a bit. But no longer, because its parentage is 'Goldfinch x Seedling'. That's good enough for me. It's a Rambler. It's almost thornless, it is fragrant and its height is about 10 feet. 'Veilchenblau' Rambler 1909. 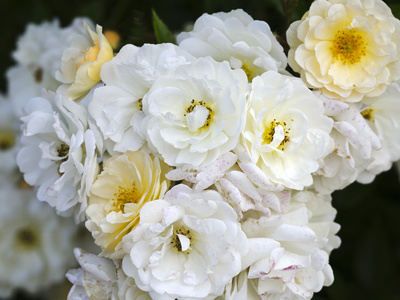 This rambling rose will grow to 20 feet, is once-flowering with a moderate fragrance. It is a very popular rose. If you love purple, this one is for you. The lovely Wichurana Rosa 'Donau'. 'American Pillar'. Will grow to 23 feet and was introduced into the USA in 1902. It has little or no fragrance, but just look what happens when it flowers just once. A whole bunch together. Perfect. Close up of 'American Pillar'. Multiflora 'Blush Rambler'. Very popular with exquisite dainty blossoms. 20 feet. Find More Beautiful Rambling Roses On My Pinterest Board. Home. Return from The Rambling Rose to Types of Roses.